Mikhail Prokhorov, a Russian businessman and owner of the NBA team Brooklyn Nets, has stated his intention to initiate legal proceedings in the US against the former head of the Moscow Anti-Doping laboratory, Grigory Rodchenkov. Rodchenkov, whose claims of a state-sponsored doping program operating in Russia for many years have triggered a wave of doping investigations against Russia, which resulted in numerous disqualifications of Russian athletes, and who already faces charges of the abuse of authority in his home country and will be arrested if returns to Russia, might now become a subject to a legal proceedings in the United States. The intention to start the process was expressed by Prokhorov, who is also a former head of the Russian Biathlon Union. His words came as the reaction to the Monday's decision by the International Olympic Committee (IOC), which handed lifetime bans to yet another five members of the Sochi Olympic team including two biathletes, Yana Romanova and Olga Vilukhina. “If Yana Romanova and Olga Vilukhina decide to fight and defend their honor, I’m ready to provide any legal and financial support," Prokhorov told TASS on Tuesday. In addition to the life bans, the Olympic governing body also annulled the athletes’ results in Sochi, where Romanova and Vilukhina earned silver together with the women’s relay team, with Vilukhina adding one more silver to her tally by finishing second in the women’s sprint. “I am sure that one of the court proceedings should be opened in the United States, where ‘death trader’ Rodchenkov can be questioned during the trial. Our athletes should have an opportunity to personally face the man whose words provided the basis for the outrage of sporting lawlessness," he added. Rodchenkov's testimony which formed the basis for a WADA-sanctioned report by Canadian lawyer Richard McLaren on the doping in Russian sport, now also has been used as a part of the IOC Disciplinary Commission, chaired by Denis Oswald. As the results of work of the commission, the IOC has already annulled results of 19 Russian athletes, while also banning them from performing at future Olympics. 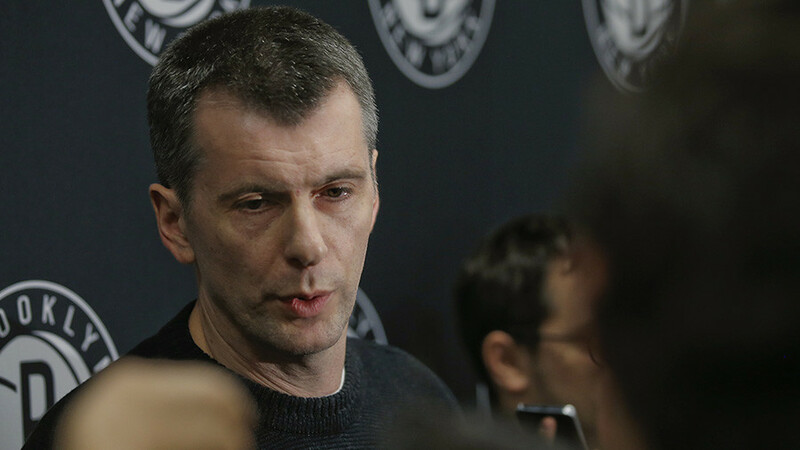 "It's necessary to stop to [this] absolute lawlessness, which destroys the world's sport and destroys the faiths of people, who dedicated their lives to the sport and the national flag,” said Prokhorov. “It is necessary to make it clear in the language of judicial decisions to the likes of Rodchenkov, Schmid, Oswald and similar figures in the IOC and WADA, that all this bacchanalia will cost them their reputation, job and money. There is a price for everything, and for injustice it [will] double," added the businessman.